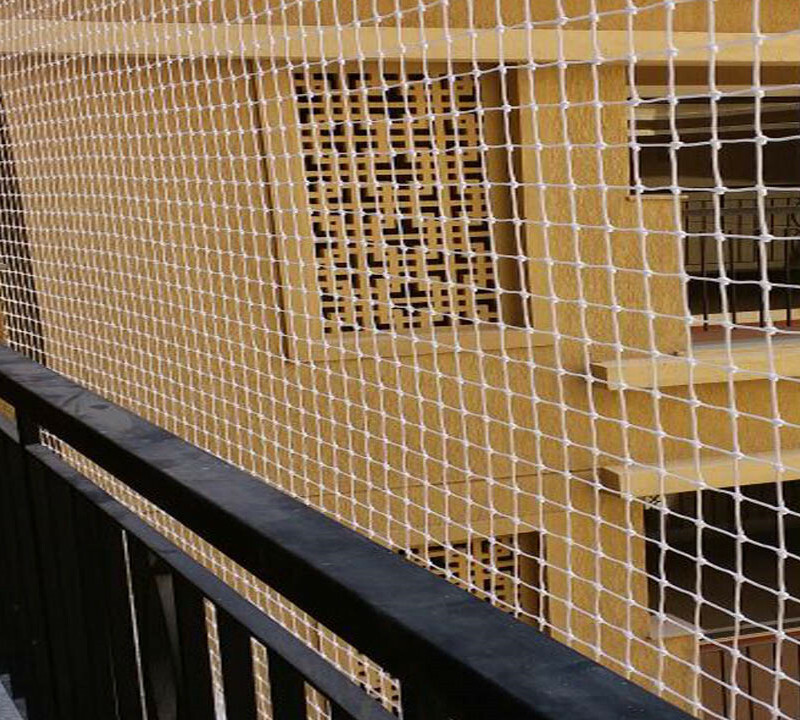 Huaxing Nets provide high quality balcony safety nets and deck netting for all over the world. All above specifications are customizable. How can we make our balcony and deck safe for our child? Decks and balconies pose several hazards — the most serious being that your child could slip through the railings and fall, or become wedged in the railings and suffocate. Fortunately, with supervision and a few simple steps, you should be able to prevent these accidents. If the railings on your deck or balcony create any gaps that are wider than 4 inches, you’ll need to make some modifications to stop your child from squeezing through. One option is to cover the railings with plastic garden fencing, shade cloth, a sheet of clear plastic, or rigid sheets of Plexiglas. If the railing has a row of ladder-like horizontal bars — which your child could use to climb up and over the top — make sure you use these barriers and secure them to the inside of the railing. 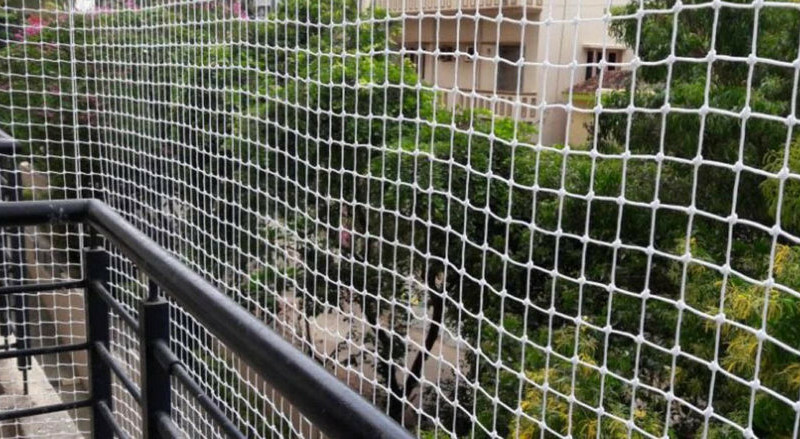 Deck netting is more appropriate for outdoor use. You can put up shade cloth or garden fencing without much hassle or expense. A black mesh shade cloth lets in a surprising amount of light and won’t detract much from your view. You can secure any of these materials to the railings with screws or plastic cord ties. Avoid using staples. If they become dislodged, they present a serious choking hazard. As an alternative to covering your deck or balcony, you can add additional vertical slats or spindles to fill in the gaps in the railing. This is a particularly appealing alternative if your railings are made of wood. When you’re childproofing your railings, don’t forget to make external stairs safer as well. If you have stairs leading down from your balcony or deck, build or buy a gate to match your existing railings. Be sure the gate’s latching mechanism is childproof or high enough that it’s out of reach. Try to get in the habit of keeping patio furniture away from the railings. You don’t want to give your child a chance to climb up and go over the edge. You should also consider adding latches to any doors or windows that lead out to your balcony or deck. These latches should be installed well out of your child’s reach. If you’re at a hotel or visiting someone else’s house, you won’t have the opportunity to close gaps between spindles or add latches to doors. If there’s a child-sized gap between the spindles, the best thing you can do is keep your child off the balcony or deck completely, even if he has supervision. Curious kids can be extremely fast, and a child needs just a second to slip away.